Kyusho Masters Series eBooks and Video Companion. Follow the Masters! Welcome to the The Kyusho Masters Series! This is an entirely new series of eBooks! I will cover information about the master level principles, as well as master level theories. PLUS their application into REAL self defense situations. This new series will be unlike anything you have read before about the art and science of pressure point self defense! However this series assumes a basic knowledge of all subjects taught. And this is not a series for beginners but for the student who wishes to master these concepts and theories. In this first volume of the Kyusho Masters Series I will go over exactly how sound and colour work, and how they can be added to your self defense system. Plus in this 1st Master Series Volume I will explain using multiple colours, healing to destructive colours, plus how meridians are affected! With sound I will define using double, and triple sounds. As well as when and where to use them! 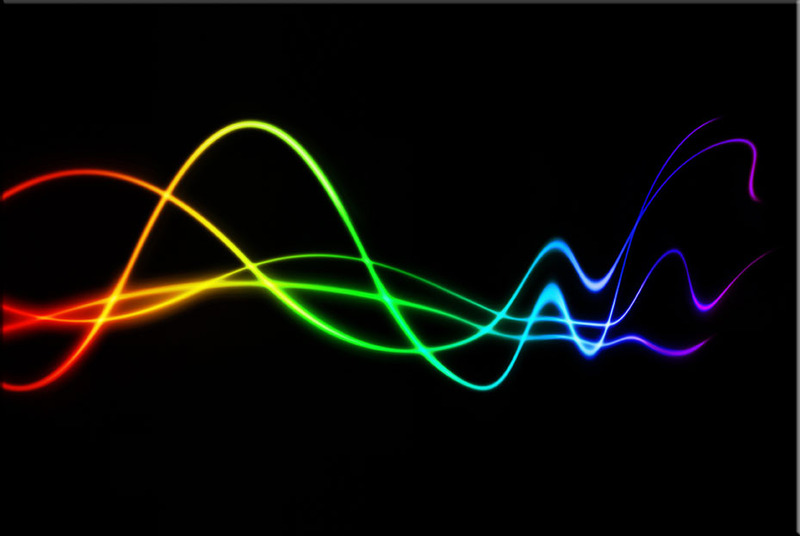 This chapter will be the ULTIMATE Sound and Colour Experience! This is actually 2 different Kyusho Jitsu Principles , however we will look at them in details in this new eBook because they have a close relationship to each other. In this new first chapter you will discover the “how” of sound and colour, as well as “why” they are so effective on the human body. The chapter will detail using combinations and various intensities to increase the results. Plus the use of the healing cycles with the destructive cycles, to once again increase the effectiveness. Directional sounds, tied to elements and their uses. Chaining sounds to attack meridians. FREE Copy of Sound & Colour for a LIMITED TIME! Download a FREE Copy of Sound and Colour Now!This is a limited Time Offer! 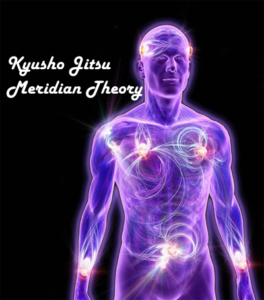 Kyusho Jitsu Meridian Theory is one of the most advanced and effective theories in the science of pressure point self defense. Please follow this link to read all about this theory! What is Kyusho Jitsu Meridian Theory? This is a different approach to Kyusho based on energy flow and the entire body. Everything is after all connected! It looks at the body as being 1 meridian and its deep level connections from element to element in the body. And it goes where I do not think anyone has gone before! Perhaps we can call it Quantum Kyusho! Have you ever wondered why some Kyusho Jitsu Master are so AMAZING? There understanding of Alarm Points is one of the major reasons! But many won’t talk about it! 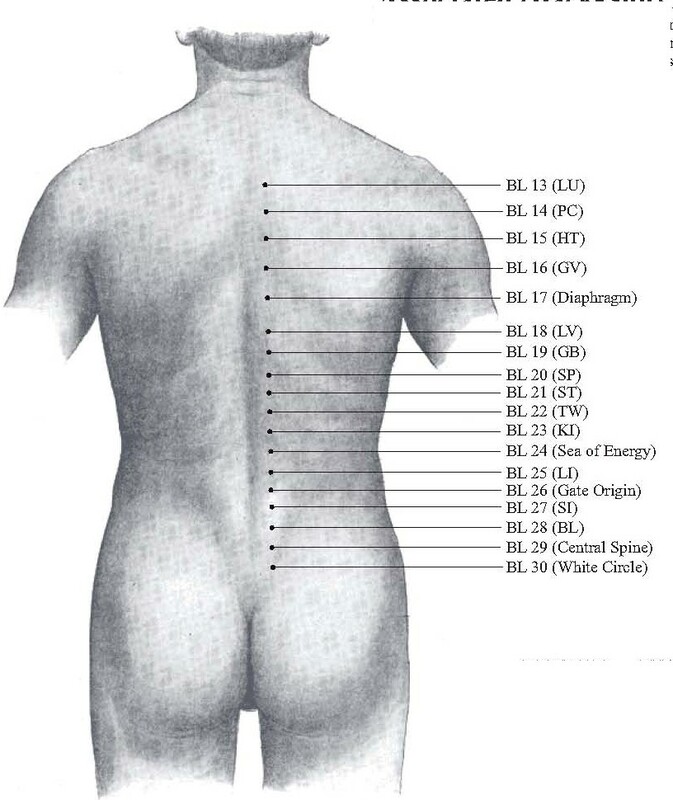 Associated Alarm Points – These are located on the back of the body and relate to the neurological aspect of the organ. ​Special Alarm Points – Each one is different. The study of Alarm Points is by far the best way to become no stoppable when it comes to Kyusho Jitsu! Hence it is like the grand daddy of all principles and perhaps the most important understanding of all. 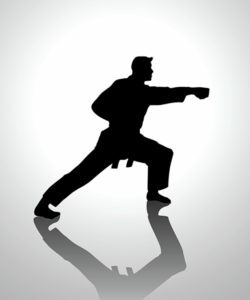 The master keys to understanding how Stances work in Kyusho Jitsu and how to transition into and out of them for the maximum effect for self defense! This is a wonderful eBook and teaching for traditionalist and eclectic martial artist alike! Once you understand how the principle of stances work, then apply transition and movement to it you can control any situation. This eBook will come with a companion video to give you detailed information and demonstration as to how this all works. When stacked with other Kyusho Jitsu Principles you can become virtually unstoppable! Each stance relations to an element of the body, which allows you to also work the Cycle of Destruction and the Diurnal Cycle while moving. One of the most interesting of all master level principles in the science of pressure point self defense. The Quadrant Theory is like no other! What is the Quadrant Theory? 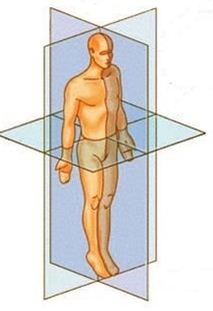 The idea behind this is that the body is divided up into quadrants like in the image above. However the head is also divided separately. There very basic concept is that each quadrant is “allergic” to the others, especially the one that is furthest away. The affects of using and understanding this principle are a dramatic increase in knockouts as well as pain beyond imagination during a join manipulation or lock. If you are not ready yet to order your copy of the Kyusho Masters Series then I have something to help convincing you! Fill out the form below, verify your email address and I will give you the Sound & Colour eBook / Video FREE! Fill out this form, verify your email and download NOW! You can get a FREE copy of the eBook/Video combination from the Master Series on Sound and Colour simply by filling out the form below, then confirming you email address. Once this is done I will send you links to download this amazing FREE eBook/Video combo!